The Spring Summer catwalks were awash with colour and not necessarily the colours you may have expected to see for Spring time collections. We're often inundated with florals galore and it was so refreshing to see so much more than the usual suspects. Watching your favourite shows is a thing of beauty and even more so when there's a multitude of surprises such as an unexpected palette and trends you didn't guess would be shown - cue yellows as far as the eye could see. Brights, pastels, golds and even luminous takes on the shade were seen at Escada, Emporio Armani, Boss and more and the even better news? The colour was seen flooding the Autumn Winter catwalks too. The perfect investment to see you through multiple seasons and bring the sunshine into your life, no matter what the month may be. From neutrals to lace and from boiler suits to tie dye, yellow is definitely my favourite trend of the season and here's how and where I'll be wearing it! 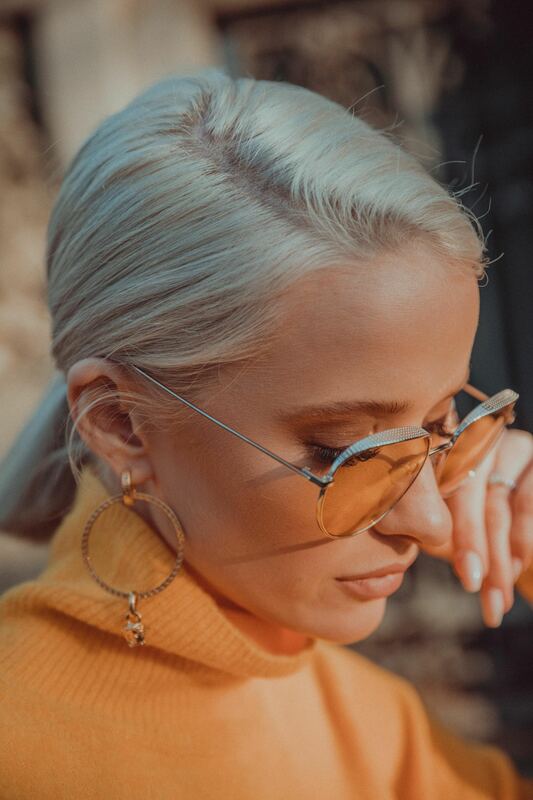 Inthefrow uses affiliate links. The above outfit was loaned and gifted for MFW. Definitely not the easiest of colours to convert into work wear but there are a few ways you could go about adapting the trend for a more formal environment. 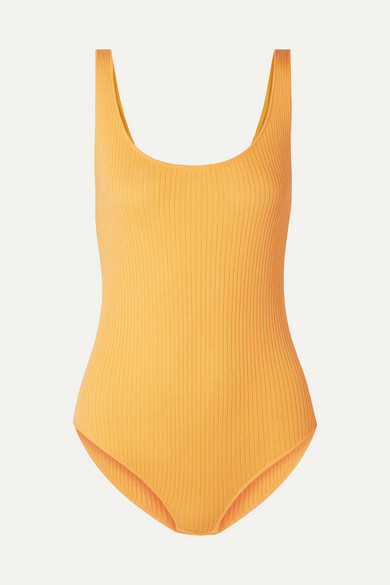 Firstly you could add a pop of colour by choosing simply one item, such as this ribbed bodysuit and muting it by wearing your favourite blazer over the top. 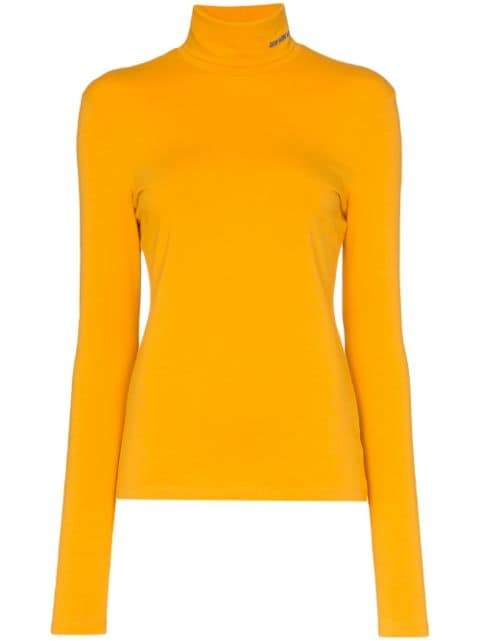 Secondly, find a much more reserved version of the shade, 'Aspen Gold' as the pantone colour charts are calling it this season, such as this roll neck from Calvin Klein. Thirdly you could throw the office rule book into complete chaos and go for this incredible tailored suit from Reiss that you could mix and match with your favourite crisp white shirt and sleek black flats to channel another Spring trend - bright suiting. 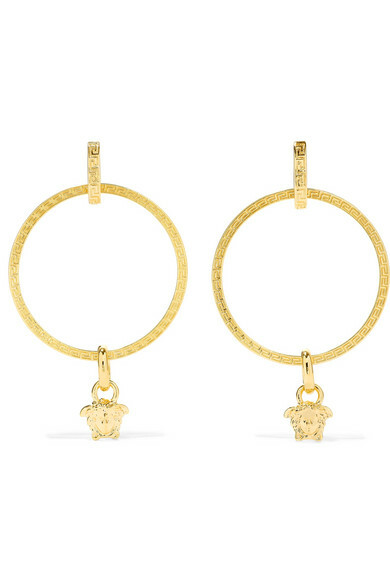 A look that will bring a smile to even the most boring of days and is heading into my shopping basket as we speak - oops! 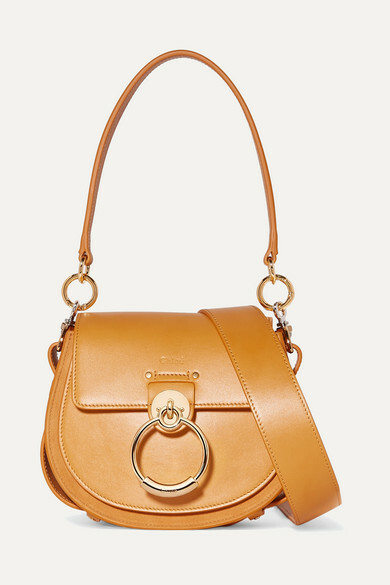 I'm picturing a long weekend in Barcelona with friends or even a staycation in beautiful London with your Mum for Mother's Day, but it definitely involves a pop of yellow no matter where the destination. This mustard denim jacket from River Island would be the perfect cover up on chillier days and you can't go wrong with adding another pair of great fitting jeans to your suitcase, like these lemon skinnies from J Brand jeans. Both completely different takes on the colour but both completely on trend. And another piece in my wardrobe that's already got a great cost per wear? 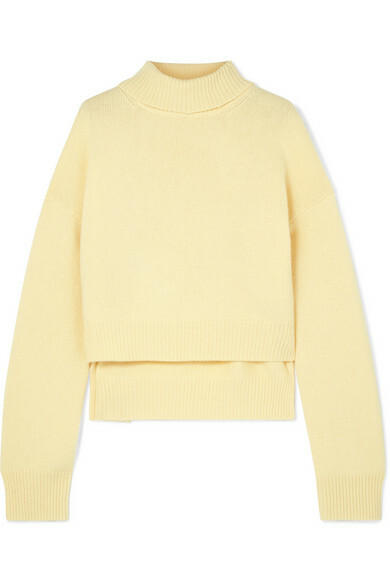 A super soft knit from Rejina Pyo that looks Spring ready with your bleached mom jeans, hitting another trend from the Spring Summer catwalks. 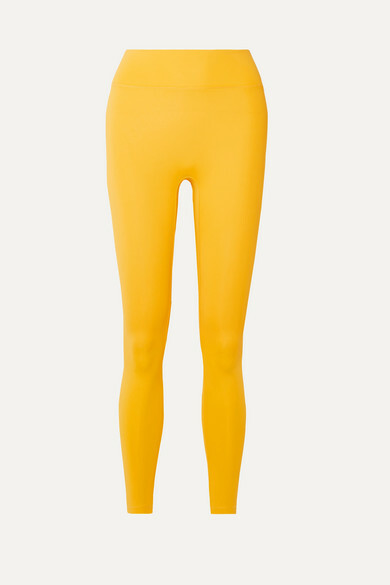 There's nowhere better to embrace the brightest of yellows than on a sunshine break and on the beach. From swimwear, to cover ups, to versatile day to night dresses, a sunshine break quite often gives you the confidence to wear colours you wouldn't dream to back at home. 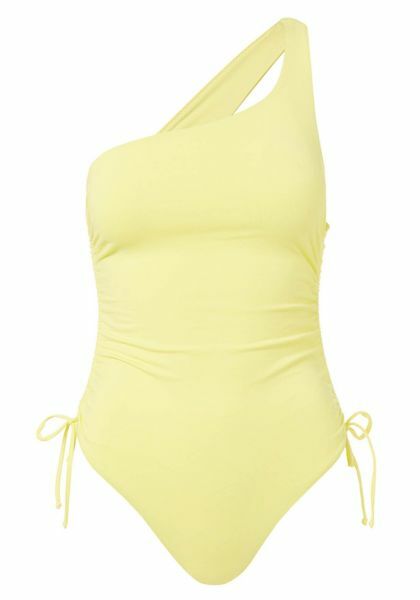 Take this amazing one shoulder swim from one of my favourites Melissa Odabash, perfect in the sea or worn as a body with some distressed denim shorts. Then there's this bardot style maxi dress from River Island that's perfect for the beach bar no matter what the hour and it's not a beach holiday without embracing the flat shoe life. These suede sandals from Aldo are heading straight into my suitcase! 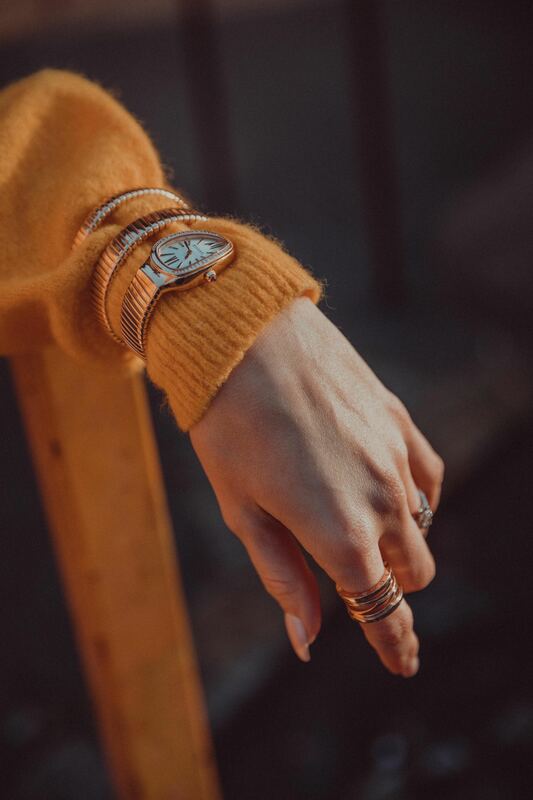 What better way to brighten up date night than to add a shade of the happiest colour on the planet, especially when date night will soon be patio drinks and eating al fresco in the golden hour sunshine - perfection! 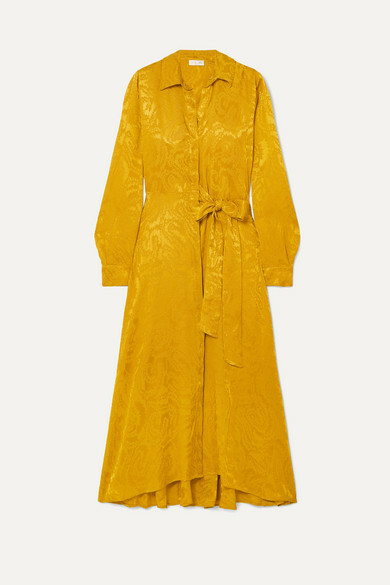 I couldn't think about date night outfits without mentioning something from the new Max Mara collection, which is a yellow lover's dream come true. 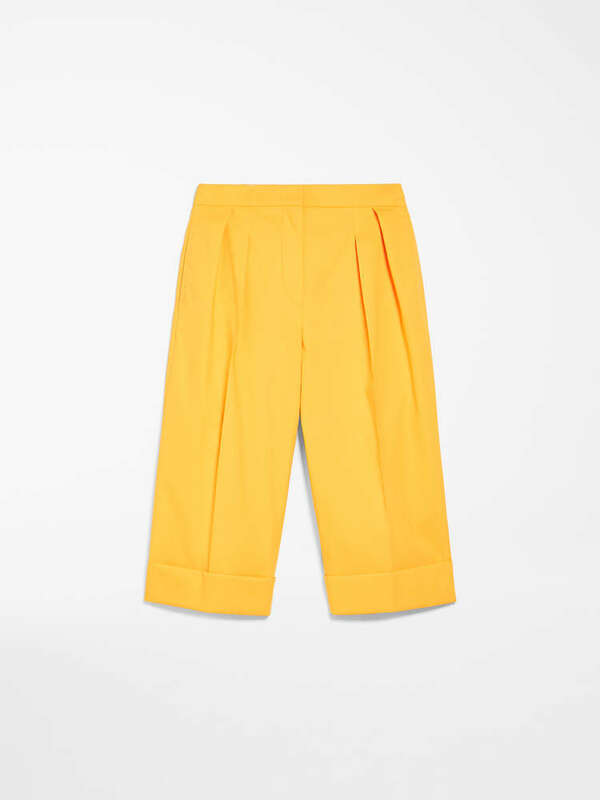 These tailored shorts would look amazing with both pointed toe flats and your favourite barely there heels and I also love this double layer pleated skirt from Me+Em, ideal for weekend brunch dates teamed with trainers too. 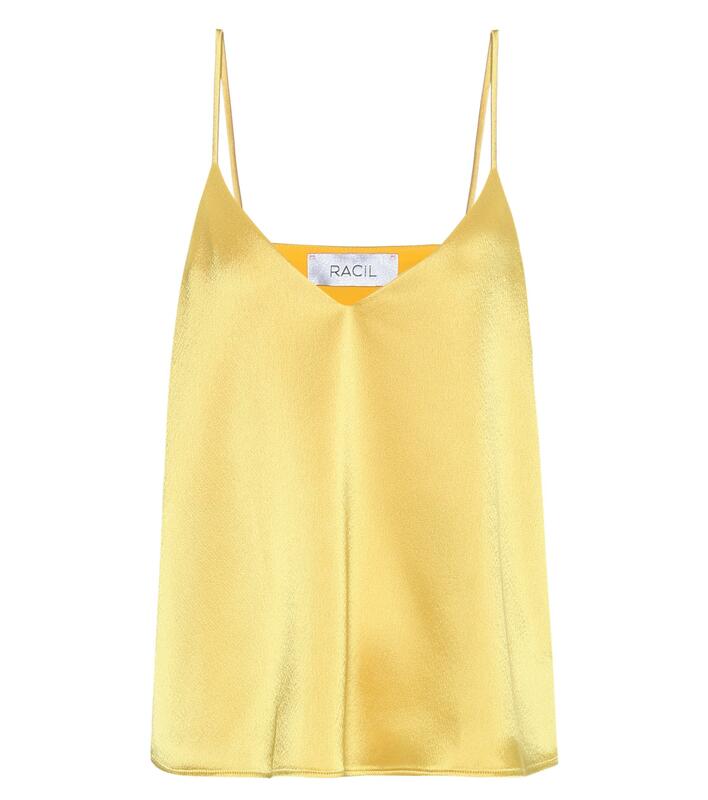 And there's no better date night outfit than a satin camisole like this one from Racil, ideal for that last minute look tucked into your sexiest black jeans, for maximum impact. And if trying to fit the hue of the season into your weekly work, dinner or date outfits isn't quite for you, what about adding it into your gym sessions? I've always found new gym gear gives me a little encouragement to head to my favourite work out and what better colour to brighten up your 'Can I really be bothered?' mindset than bright, beautiful yellow! 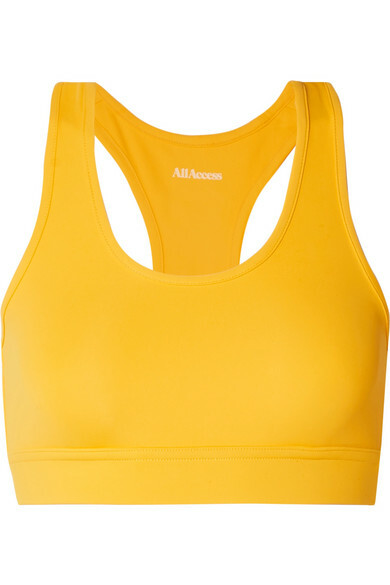 These high waisted leggings from All Access are my favourite supportive style and the matching sports bra is needed to complete the set - I'm sure of it! 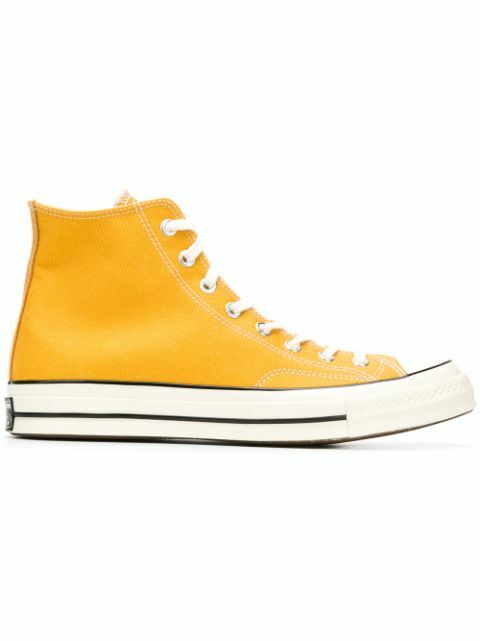 I'm also loving these classic Converse in yellow that I can definitely see being worn outside the yoga studio. I couldn't even think about expressing my love the colour of the season without a nod to some of my favourite accessories, most of which you're probably all exhausted from seeing on my socials by now. Take my suede and plexi courts from Gianvito Rossi that I featured in my recent unexpected fashion choices post (you can read that here) and my bag of the moment, my gold Chloe Tess in the small size. 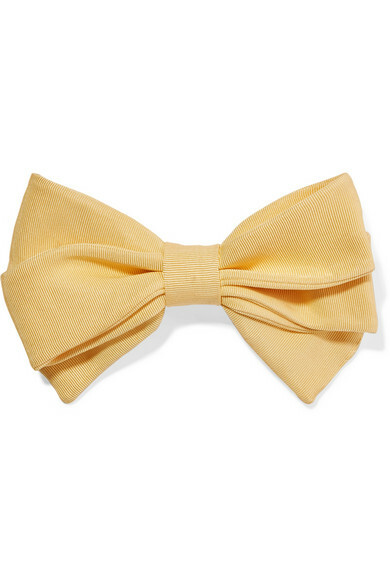 And who knew my newest lust piece would be the yellow version of my go to travel shoes - the Tod's Gommino loafers. If there's a more comfortable pair of shoes out in the wild, I am yet to find them and don't think I will! 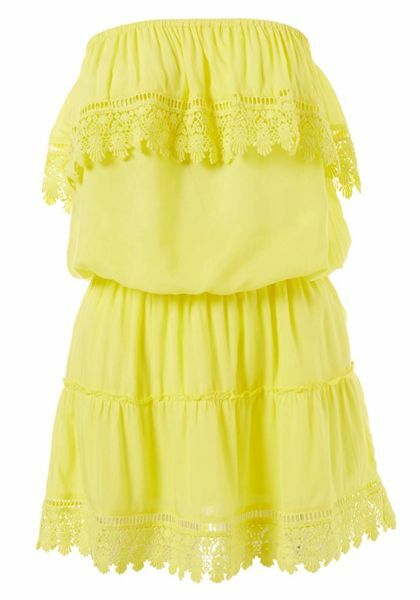 I'd love to know if you've added any yellow to your wardrobe this season yet and if you haven't, when you'll be embracing the sunshine colour of the year!